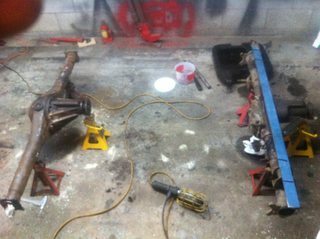 The 3.91 1030 put up a good fight, I'm thinking one of the carrier bearings let loose, I didn't feel like pulling the axles to find out. Especially since I've got a hankering to do the 8.8 swap and be done with it. It looks like they made an LSD 4.10 for the Exploder, I think this would fit my goals ok. Anyone solve the parking brake hookup? 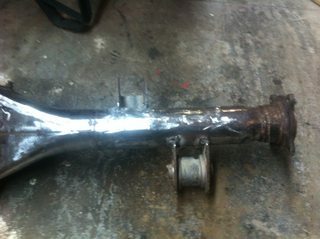 Also my wheels are 5x4.5 like the exploder axle already has before I get any "use a toyoda axle" from the rally crew. Last edited by VB242; 11-26-2018 at 10:21 PM.. There's 1) 92 4runner, most likely with drum brakes and no pickups between the 2 yards here, there are 47) explorers, wonder which one I should go with? John, can you give more insight into this swap? I have been considering the 8.8 swap for a while, but if there is a Toyota axle that fits better I would like to know more about it. What year and model fits into a 245? Well OBVIOUSLY you need to go with the Toyota axle, because it's far better than anything you can get 100 different aftermarket variations for from Jegs or Summit. The best part is that if you break it, you get to spend weeks scouring junkyards for beat up old Toyotas! When I build something, I try to get away from using parts that are essentially one-offs now that they're getting old and hard to find. Replaceability has to be key, IMO. ESPECIALLY when you can get any axle you want, off the shelf, with free shipping, for pennies. Welding the axle back together is not a "serious precision" job, just clamp it together with some angle iron and put the axle shaft in. Stock cars run 3* camber on solid axles, so if you keep your straight axle under 200 MPH you'll be fine. 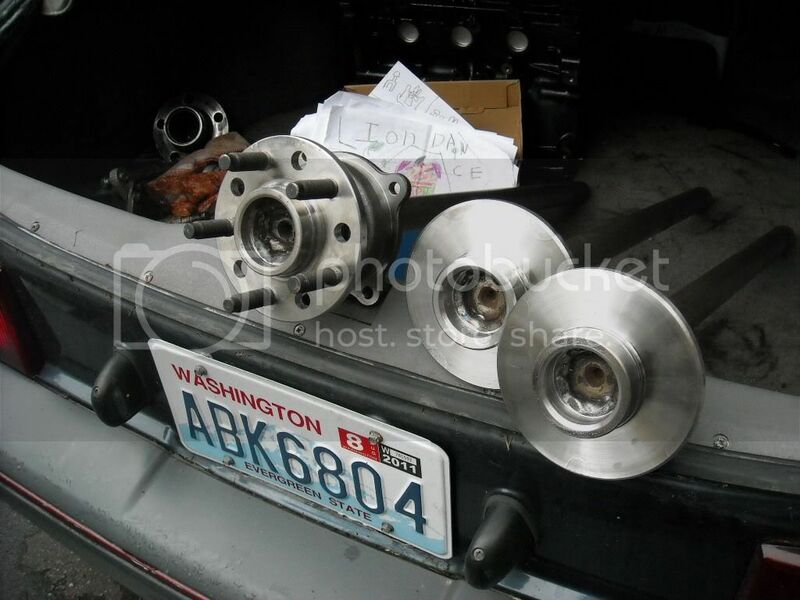 I'm mildly intrigued by the hooning potential of an e-locker Toyota axle in a high-HP Volvo. But really, you could stick a selectable locker in an 8.8 as well. And a locker probably isn't what you want in a street vehicle anyhow. It's... just sort of fun in my 4Runner on slick wet streets in 2HI. Sounds to me that you're ignoring the warning sticker for the e-locker. I had to do a 5-minute 'mod' to allow it to be used outside of 4LO. Remove driver's side footwell kick panel, find a wire, clip it, ground it. Voila, locker available in all 3 xfer case modes. Slideways action in big tall SUV ability: unlocked. You could also go full bolt in with a 1031 that has one of those new fangled lsd in it. A 1031 is a bit stronger and may last a bit longer. Unless you are planning a lot of abusive stuff the 1031 seems to hold up to V8 power ok. I did the toiletta swap. The good limited slip and a 4.56 final drive really changed the way the car behave. 1: Get a Toyota supra (1986.5 - 1992) limited slip. You can know that it's an 8inch by looking at the third member. 3: Go to a machine shop with the axles, the brake discs you want to use and the wheels you want to use (I had stock Volvo 240 ****). 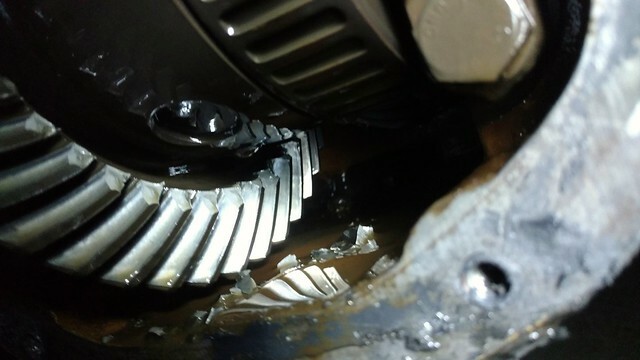 6: Get a solid pinion spacer and shim kit from Weir Performance. Last edited by Vincent Gagnon; 11-28-2018 at 12:06 AM..
What I like is how he said "Also my wheels are 5x4.5 like the exploder axle already has before I get any "use a toyoda axle" from the rally crew." and gets almost nothing in this thread except what he didn't want lol. Good toyota info though for those wanting that rear. I was gonna do the 8.8 route, its a good one and I was sold on it, then I found a 9" with 240 brackets already installed for really cheap, so I got that. I don't know about the parking brake thing though, I'm using a manual trans..
From what I've been able to find the explorer parking brake cables go out to a bar that probably gets pulled by one single cable from the pedal mechanism. I was thinking of interfacing the Volvo cables at that point by drilling a couple holes in the bar, shortening the cables and using some of those u shaped cable clamps. I'll have to see what it looks like once I pull the 8.8. 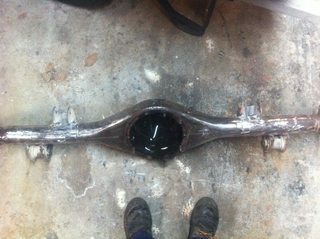 Thanks Vinny for the comprehensive write up but all that finagling and machining seems a lot more difficult that than welding up an axle tube. All for an axle 4 Wheeling magazine rates lower in strength than an 8.8. Jegs etc have C clip eliminator kits that take care of the 8.8 main weakness. I was sold on its strength watching the 901hp Dyno on other thread, I'll never make that kind of hp/tq with a redblock. A buddy had an 8.8 in his 69 valiant/2JZ drag car. Ran high 8's, lifted the front wheels 12" on launch. Never broke a thing. The Toyota axle myth needs to die. A $100 junkyard 1031 in the 373:1 flavor? The Toyota axle myth needs to die. 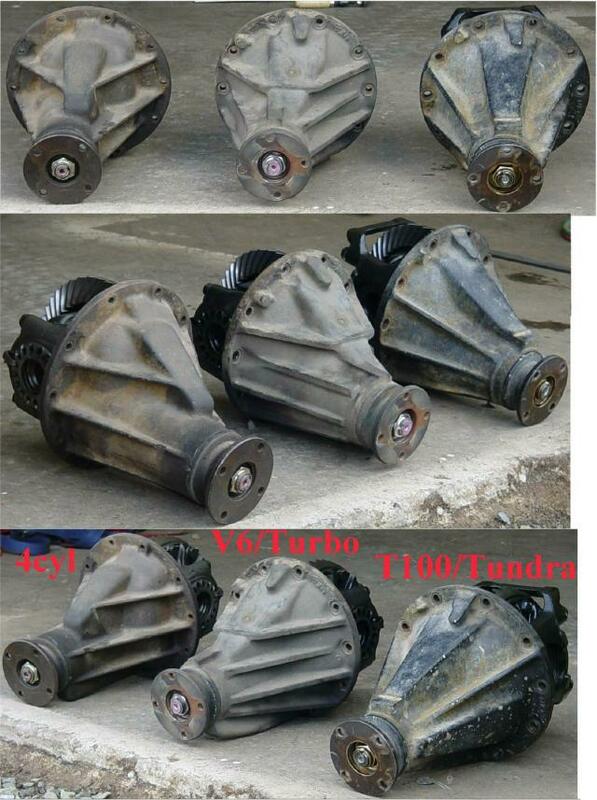 no way, all 240hp cars need giant truck axles.